Doriti sa cunosteti mai mult? Va punem la dispozitie o gama variata de resurse pentru a sti mai multe despre solutia Esri ArcReader. Accesati studiile de caz, brosurile si demo-urile pentru o valorificare optima a produsului. Descoperiti cat de repede si de usor puteti sa livrati solutii. 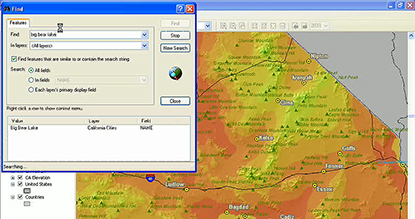 ArcReader helps small organizations incorporate spatial data management in their day-to-day business, ArcNews, Fall 2008. Houston Department of Health and Human Services, Houston, Texas. The City of Cleveland, Ohio, uses ArcReader to allow customers to view and print maps from their desktops, saving the city time and money. Sunshine State One-Call of Florida, Inc., Puts ArcReader to Use, ArcNews, Summer 2003. Sunshine State One-Call of Florida, Inc., uses ArcReader to share digital maps with customer service representatives without concerns about maintaining the integrity of the maps. Aflati cat de usor este sa vizualizati si explorati datele si sa tipariti hartile create cu extensia ArcGIS Publisher.